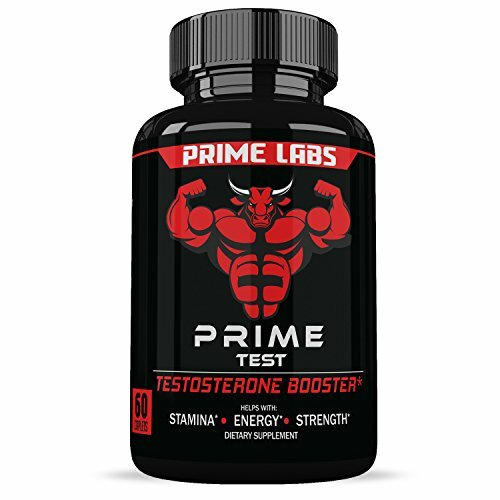 Original Prime Labs Men’s Testosterone Booster is formulated with all natural Horny Goat Weed, Saw Palmetto Extract, Tongkat Ali Extract, etc. The extra strength formula boosts the stamina, energy, and physical capability, as it can enhances the production of testosterone level. Professional bodybuilders also use it for getting healthy and leaner muscles. Take two caplets in a day for boosting the muscles strength and endurance. You can get the testosterone boosting supplements at reasonable price from Amazon shopping online in Pakistan. MADE IN THE USA - Prime Labs products are highly-tested to ensure quality and developed right here in the United States. That means you re not only getting the best testosterone booster, but one you can trust.